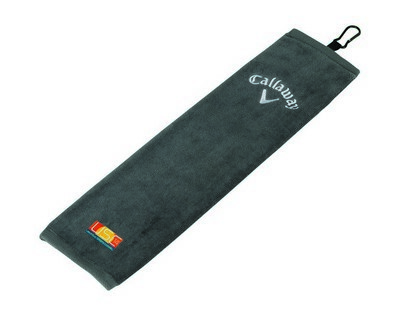 Our Callaway Tri-Fold Towel comes in classic color options and makes a nice choice for Company Logo Products. Imprint area – 2 ½” dia. 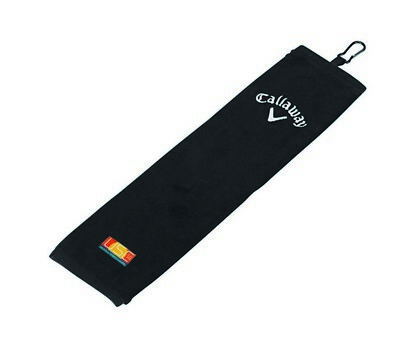 Clean up your marketing campaign by pairing your efforts with the Callaway Tri-Fold Towel! This slim sized towel is constructed out of pure cotton microfiber to offer optimum softness and absorption. It also features a carabiner attachment system for easy access and carrying. 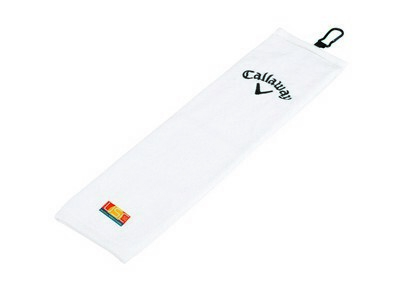 Standard weight sports towel is perfect for sports outings, tournaments and events. Available in black, white, navy and charcoal colors, this towel offers plenty of opportunities to include your brand logo, company name and personal message for a lasting impact!